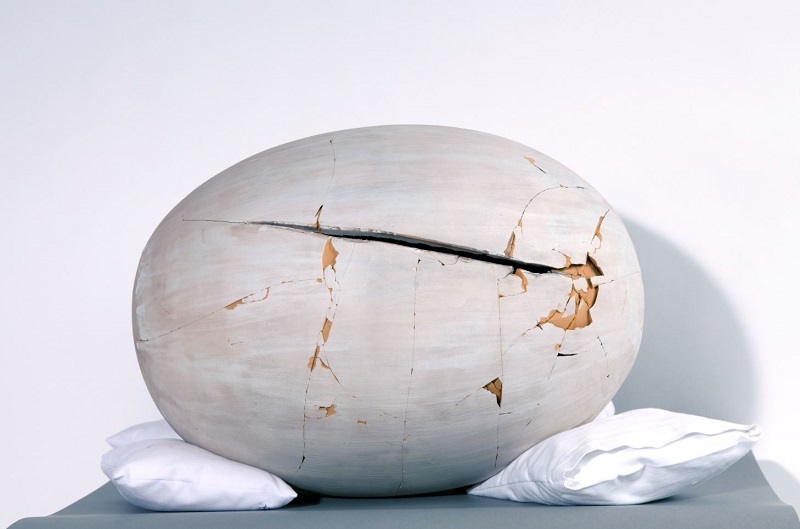 In 2013, a terracotta work by Lucio Fontana, Concetto Spaziale, c. 1960-65, held in a private Belgian collection, was irrecoverably destroyed when it fell. The owner was compensated for the loss by the insurer AXA ART, represented in Belgium by the insurer Jean Verheyen S.A. However, AXA ART decided to conserve the many fragments of the piece and to entrust them to the art restoration school, La Cambre in Brussels, to carry out a study of the work and to examine the possibilities for its conservation. This collaboration between an insurance company and an art restoration school also served the purpose of promoting the training of young restoration students and entrusting them with the work of a major 20th century artist. 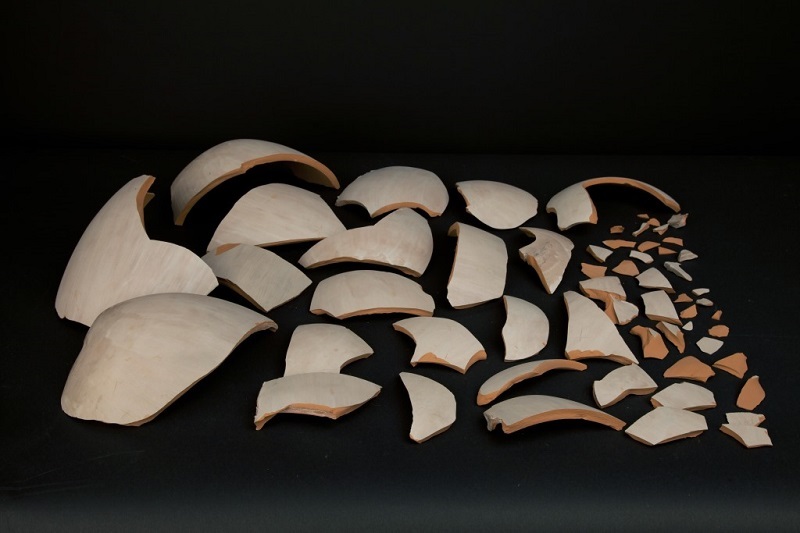 The decision was made to carry out an “archaeological” type of conservation, consisting of a simple assembly of the fragments. 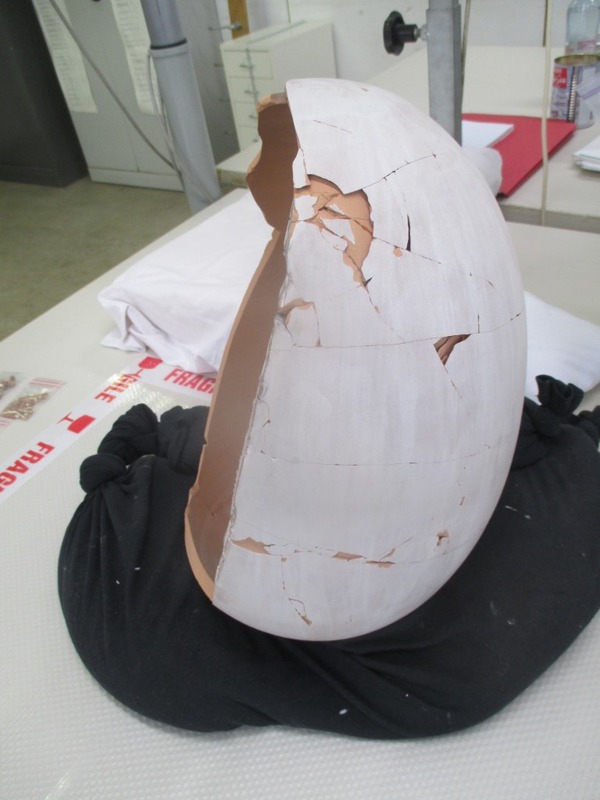 The various missing pieces and fractures were left apparent, to draw the attention of museum curators and collectors to the risks of damage to artworks and the means of damage prevention. It is important to highlight the meticulous work of the restorer Sophie Genin, who dusted off and cleaned each fragment, some of which were smaller than a grain of rice, and who assembled over one hundred fragments. As insurers, AXA ART and Jean Verheyen S.A. strive to go beyond their roles related to compensation for financial loss by always keeping in mind the emotional and cultural value of works of art and collections. AXA ART conferred on Jean Verheyen S.A. the high quality of underwriting for its Belgian portfolio because Verheyen’s family-based and personalized approach has been recognized through its advice and expertise for over a century. The two companies are involved in risk prevention and research and they are committed to the preservation and protection of artistic heritage. How to submit a claim?